SHEN SB-200 Tyrolean Style Bass, all solid carved Spruce and Willow. Solid carved Spruce top and solid Willow back and sides. 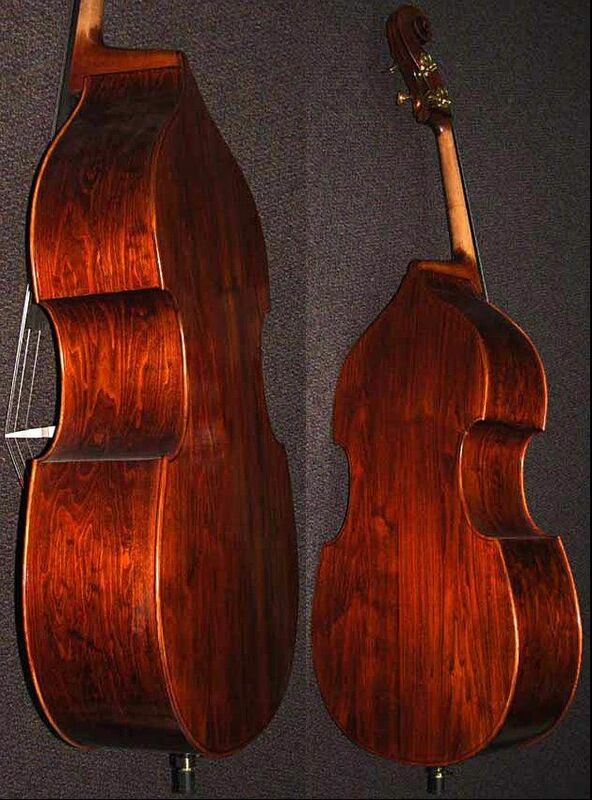 The thick solid Willow back is arched slightly outwards because of the X-Bracing inside which helps stabilize it and helps it act like a soundboard to generate a HUGE Rich sound from this bass! It has to be heard to believe this much big rich bass sound can come from a $5,000 3/4 sized bass! 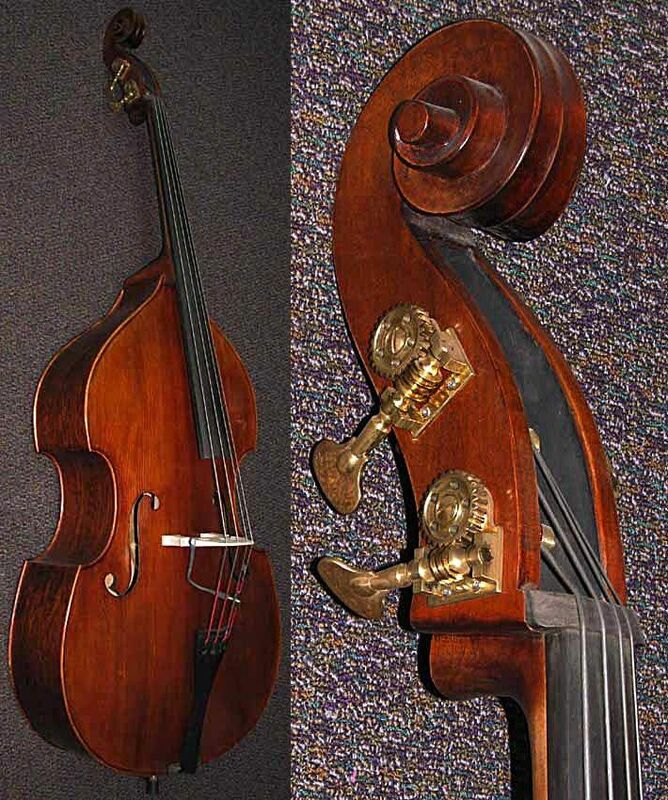 You might expect to pay $8,000 and up to get a bass that sounds this good.